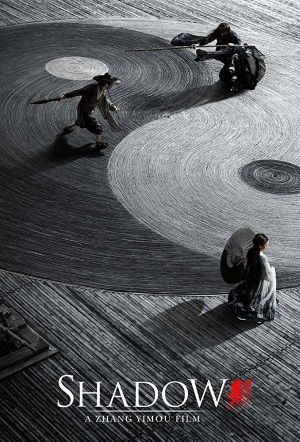 Zhang Yimou's newest is a feast for eyes and ears. 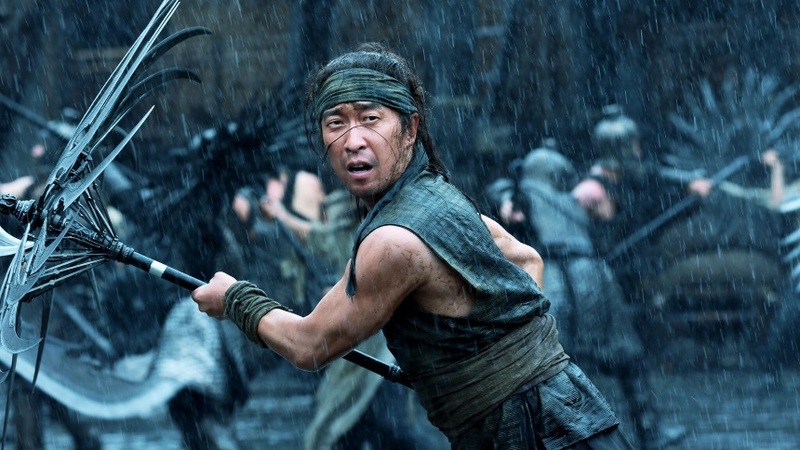 Being a trained cinematographer, Chinese director Zhang Yimou cannot be accused of making ugly films. Be it a small drama or an epic fantasy flick, the man knows how to shoot pretty pictures, so it will be no surprise that his latest film Shadow is absolutely drop-dead gorgeous looking. This time, Zhang Yimou turns his attention to the legendary age of the Three Kingdoms, and focuses on a little-used aspect in that era's many tales: that of the body-double. In Shadow, there is an uneasy peace between two kingdoms. Both countries joined forces to get rid of a common enemy, but afterwards, one city of the kingdom of Pei has remained occupied by the allying army. Also, before the two kingdoms teamed up, the army commander of Pei was badly hurt by the other kingdom's leader, general Yang, and never recovered. Pei's commander wants to win back the city in spite of the peace treaty, and challenges Yang to a duel, despite being in no shape to fight. But the commander has an ace up his sleeve: he has been meticulously training a body-double, or shadow, to take his place in the duel while he himself plots a secret invasion. For fans of Chinese melodrama with over-the-top action there's plenty of fun to be had here, and the acting is better than usual. Deng Chao makes for an engaging double-lead, and it took me a while to realize that he actually plays both the commander and the double, so much difference is there in the two characters' body languages. Sun Li is also great as the lady torn between the two men. Rather than focusing on the historical heroes, Zhang Yimou clearly sides with the downtrodden in the story, and this is especially true for the women, as he never leaves a chance unused to show how unfairly they are treated while applauding their strengths. As said before, the film is gorgeous. Set during days of incessant rain, in a landscape of slate and colorless buildings, the whole film is in shades of black, white and grey. Mist and spray cover everything, and buildings and mountains show as vague silhouettes in the far distance. Each shot resembling an ink-wash painting, with the only color coming from people's skin and blood. At the same time it doesn't look too stylistic, and Shadow has already won several awards for its realistic use of special effects. Those who remember House of Flying Daggers will know that Zhang Yimou can also be crazy about sound too, and he fully indulges himself here. Bamboo poles scratch and splash over wet cobblestones, massive metal weapons clash and screech, and there are music duels as well. At times, Shadow is a feast of sound and vision, especially during a storm-the-fortress sequence which rivals Baahubali 2 in sheer spectacle and craziness. All in all, I had a great time with Shadow, and so did the audiences at the International Film Festival Rotterdam, who awarded the film a score of 4.0 out of 5. Highly recommended! Hey Australia! Win Tickets to See Zhang Yimou's SHADOW in Cinemas!